If you work at Eagle Rock, there’s always a lot to celebrate and be thankful for, especially at this time of the year. In addition to celebrating Thanksgiving on our mountainside campus in Estes Park, Colo., many of our students, staff, faculty and administrators are making plans for the upcoming Winter Trimester Break (Dec. 18, 2018 – Jan. 6, 2019). But before parting ways until the New Year, there’s one more major year-end celebration on the calendar. This Friday, Dec. 14, the Eagle Rock community will gather or go online to celebrate the high school graduation of three more Eagle Rock School students. In particular, it’s Spencer Lanier, Hailee Williams, and Itxel Nava-Barron’s turn to take to the stage at our Human Performance Center — beginning at 4 p.m. (Mountain Time) — to accept their high school diplomas. For the folks at home, you can follow along online via the livestream that’ll be made available exclusively through the Eagle Rock School and Professional Development Center page on Facebook. 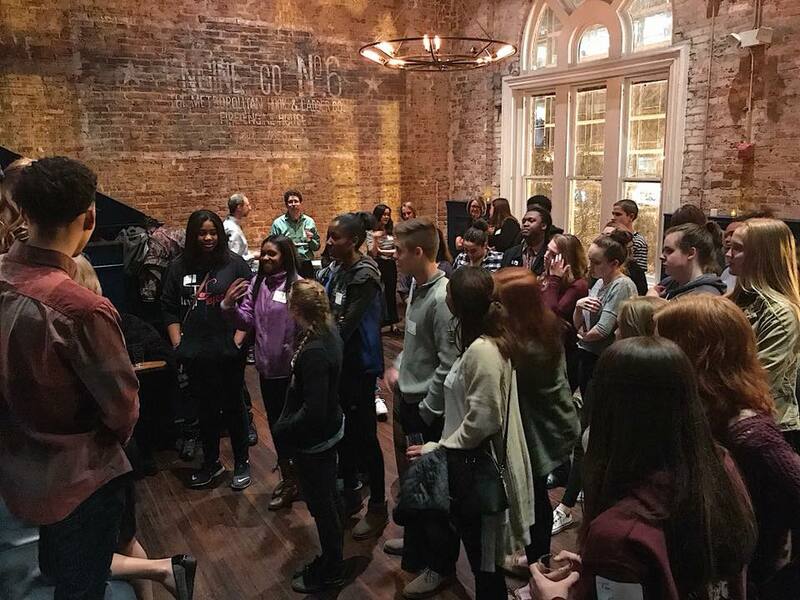 Editor’s Note: In early November of 2017, three of our Eagle Rock School students attended a Washington, D.C.-based event called “SparkHouse” that saw teens from 13 states share learner-centered experiences from their own schools. The event was produced by Education Reimagined — an initiative of Convergence Center for Policy Resolution that promotes a transformational vision for education in the U.S. Marcus attended SparkHouse with fellow Eagle Rock School students Levi Brooks and Spencer Lanier, along with Bea Salazar, our Life After Eagle Rock instructional specialist. This past November, I had the opportunity of a lifetime to visit Washington, D.C., along with two other classmates and represent Eagle Rock School and Professional Development Center as student ambassadors at SparkHouse. 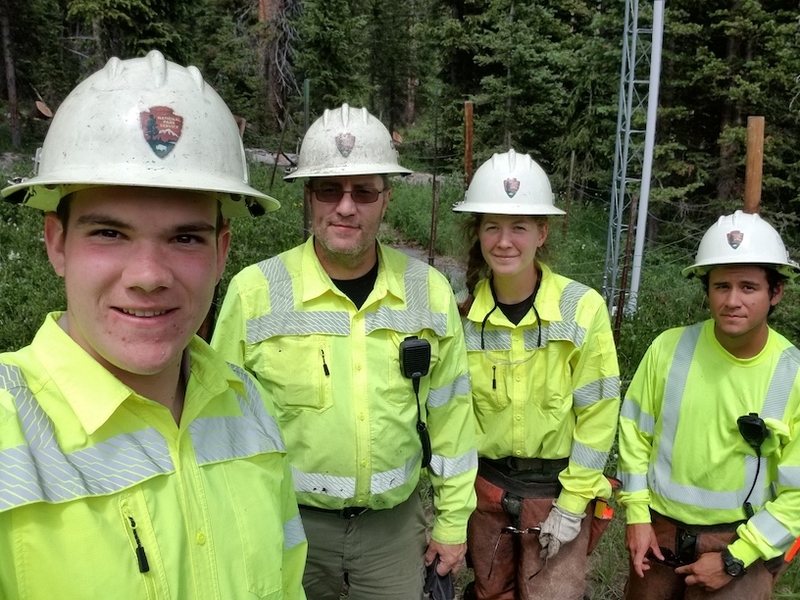 A trio of Eagle Rock School students who are currently enrolled in this trimester’s Rocky Mountain National Park internship class were asked by their instructor to write down some thoughts on their unique experiences within the park’s 415 square miles of unmatched natural beauty. Human Performance & Outdoor Education Instructional Specialist Jon Anderson asked the students to describe their service learning projects and what they’ve acquired from the experience thus far. And suffice to say, the park system, which offers internships in a number of divisions including trail maintenance, recycling, fire fuels reduction, and visitor education, just to name a few, has been very supportive of our educational objectives and goals. I am involved in the Forestry Division within the park. We go out and treat or cut trees that are affected by the pine beetles in the park. Rocky Mountain National Park’s mission is to protect and preserve the land for the wildlife and public use. The idea is to have a high-quality experience with a low-environmental impact from humans.